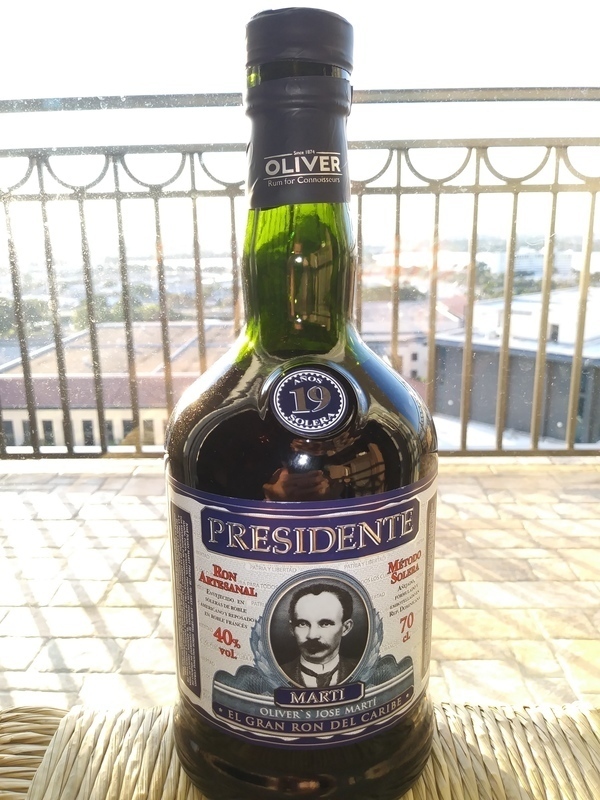 Have you found an online vendor selling Presidente 19-Year? All aspects of tasting like aroma, sweetness or afterburn are just wonderful. Excellent for celebrations: after the very first glass you wish to have the whole bottle for yourself and to get tanked up! 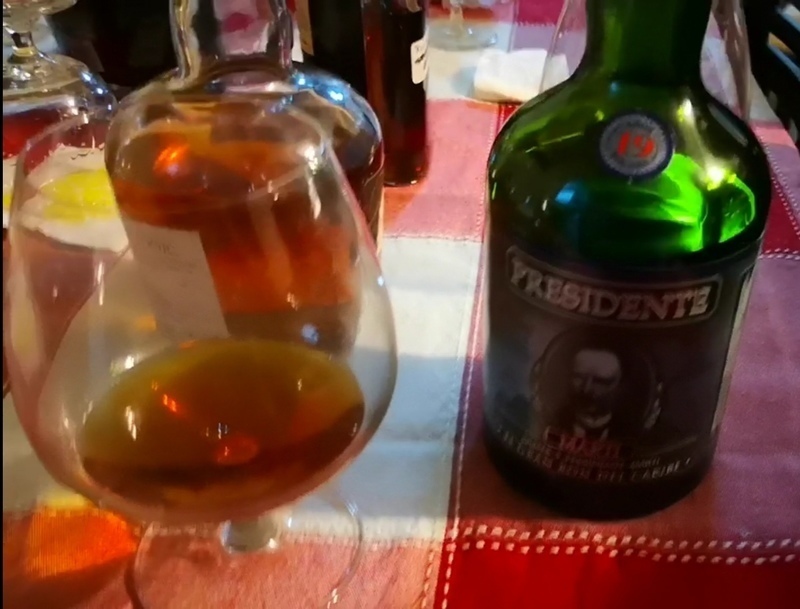 As of this review, this rum has a score of 8.3, while the Presidente 23 has a score of 8.0. I think this one is a little better, as the 23 year has a bit more oak finish to it and a little less sweetness. Smells and tastes of molasses, caramel, marzipan, and honey. Doesn't have the oaky finish of the 23, which is nice. A very good rum, especially at the price! Der Presidente Marti 19 ist der Mittlere von 3 Brüdern - da ich die beiden andeten noch nicht verkosten konnte bleibe ich einen direkten Vergleich schuldig. Der Presidente 19 ist ein sehr süsser Rum der stark an Weihnachten erinnert - Dörrobst (v.a. Rosinen), Schokolade und Lebkuchen. Vom Anfang bis zum Ende sehr mild. Leider gehöre ich zu der Hälfte der Mennschheit die Rosinen als “vergammelte Weintrauben“ bezeichnet und einfach nicht leiden kann, daher ist der Rum nicht so nach meinem Geschmack. Neutral betrachtet jedoch kein schlechter Tropfen. Freue mich auf den Tag wenn ich den grossen 24jährigen Bruder zesten kann! Another find in the local Getränkemarkt and another good one. Comes is an overlarge box (it's unnecessarily wide) but the bootle inside is full of goodness: very smooth, just a nice sweetness, lots of character to it - was getting chocolate, cherries, toffee, a bit of spice - all nicely apportioned. Would not be the end of the world if I was stuck on a desert island with this one. 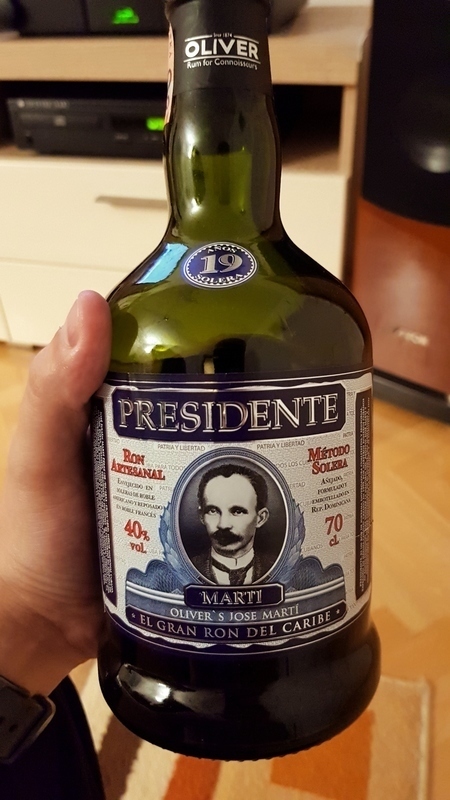 Well over 1,000 aged dark rums enjoyed and Presidente Marti 19 year from Oliver & Oliver is easily on my Top 10 list after 15 years of tastings. It is superb, so smooth you can't imagine, no burn at all and contains plenty of exciting flavors. Only a marginal difference to the 23 year old rum and surprisingly small price difference for an extra 4 years of maturing. If you haven't tried yet this Dominican Republic produced but Cuban inspired 19 year Rum, I will guarantee it will set a brand new benchmark for your personal rum list. Still... If you or your companions like this kind of sweetened drinks, than this is probably among the best choices. A very nice and compelx rum. I can't say that i have a vast experience on rums but for my taste was on the sweet side. I prefer just a little less sweet. Only taste it once so maybe not the best opinion but i prefer diplomatico reserva exclusiva for similar price. Great aroma and full taste, long and smooth finish, not too sweet and very affordable. Velmi dobrý karibský rum hnědé barvy se sladší chutí. Great Ron, little sweetness but taste is perfect. Some plums are present in taste. General flow on tongue is very nice an mild.i like it very much. Smell is good not sharp. As we know Oliver & Oliver has never disappointed us, and this time they shows us a very well made rum, it is a soft rum, mahogany in color, it has sweet caramel and honey aromas, fruits and spices. Taste sweet but not too much, and also some spices. It's a super recommended rum, and the price is not high. Como sabemos Oliver & Oliver jamás nos ha defraudado, y en esta ocasión nos muestra un ron muy bien realizado, es un ron sueve, de color caoba, tiene aromas dulces de caramelo y miel, frutas y especias. De sabor dulce pero no demasiado, y también de algunas especias. Es un ron super recomendable, y el precio no es elevado. Everything about this rum is easy. The smell, the taste, the slight warmth as it makes its way to your stomach. Excellent sweetness that fades into a burnt caramel, without tasting artificial. About 30 seconds after the sip, I have a hint of banana and cream. Very much a go-to for daily drinking. Highly recommend with 1 ice cube to open it up a little. Sweetness and full body. I just dont see that much difference from 15yo.